Except for the fact it's my Birth Year (via serial number) watch! I've been looking for a birth year Rolex for a while without consideration on model and this one came across my desk in pretty bad condition. After some invasive surgery here it is on my wrist. What a comfortable watch to wear and even though I've already nicked the acrylic cyclops I think this one's a keeper. 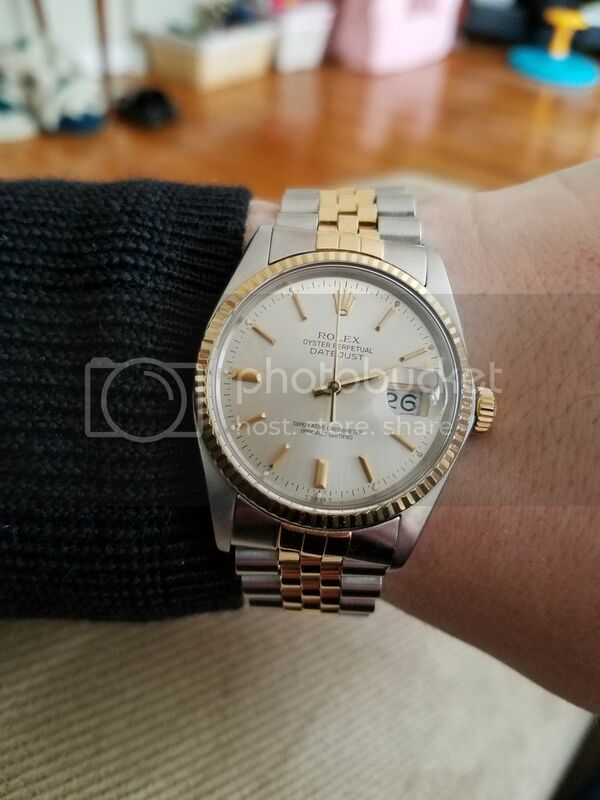 Previous Topic: Vintage Rolex Oyster Perpetual 1002 Questions . . .